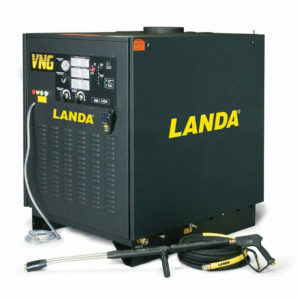 When it comes to heavy-duty grease or grime, most high-volume, hot water pressure washers fall short with their 150°F water. 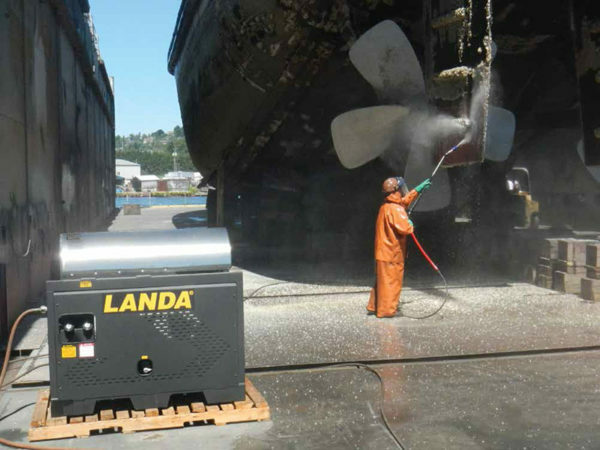 Landa Karcher Group’s SLX, and smaller SLT, are the first power washers ever designed to deliver a high-volume flow at 200°F water, hot enough to melt the toughest of oily messes. 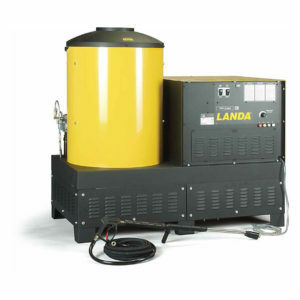 The SLX delivers enough hot water flow—up to 9.8 GPM—that you can operate two spray guns at the same time! 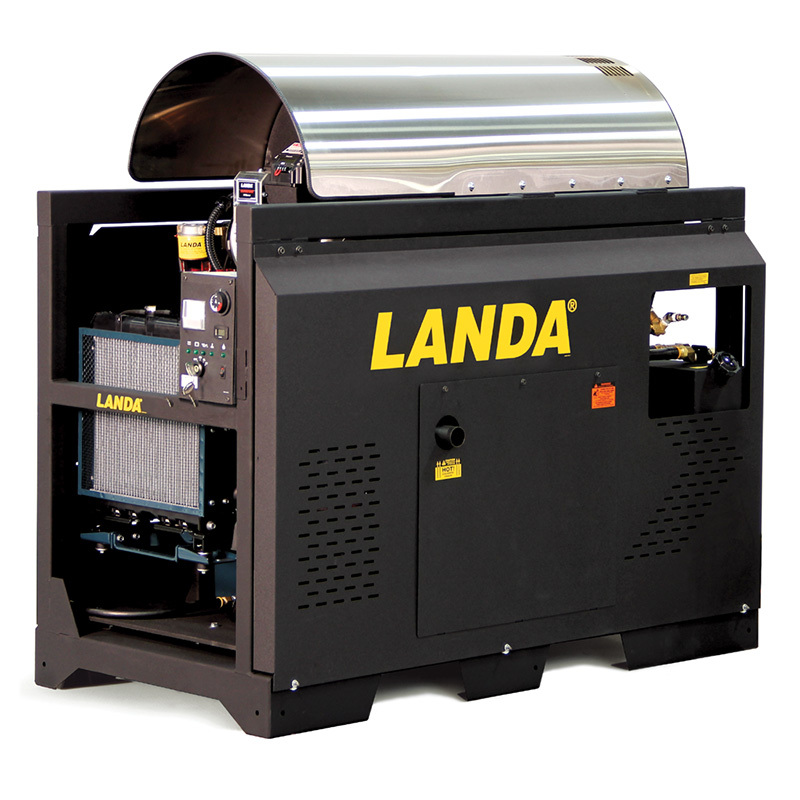 The SLX and SLT feature a top-of-the-line, belt-drive Landa Karcher Group Pump with 7-year warranty and low RPM for extended life, as well an extra-large Heating Coil made of cold-rolled, 3/4” Schedule 80 steel pipe in to a 5-year warranty. Gasoline-powered Honda Engines, or water-cooled, diesel-powered Kubota Engines all come with keyed electric starter for easy start-up and protection against unauthorized use. 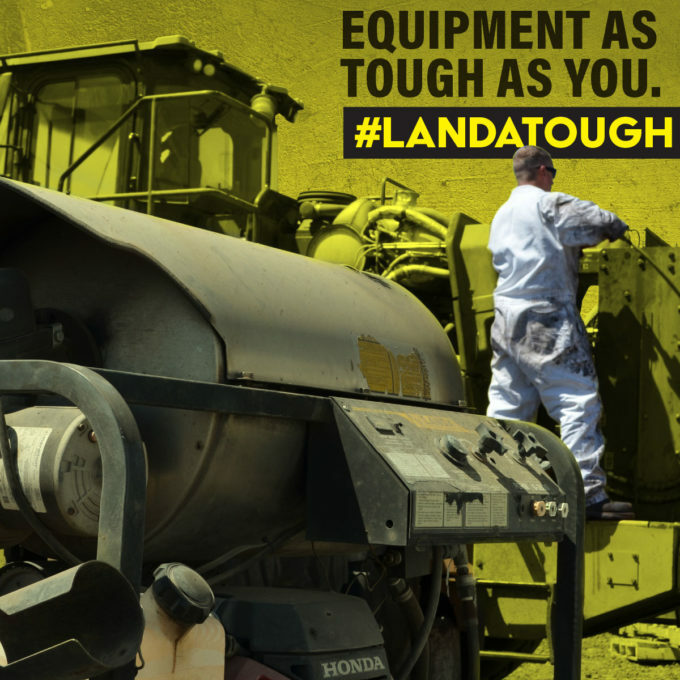 The extraordinarily rugged frame is made of 2-by-4-inch box steel with an all-metal power platform cushioned by 10 vibration isolators to minimize frame stress. 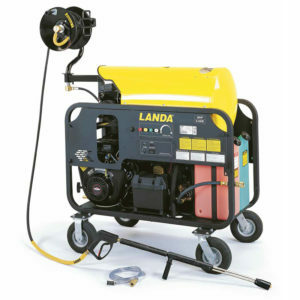 The SLX/SLT is heated by a high-efficiency Landa Karcher Group Surefire or Beckett burner with adjustable numbered dial-in air flow. The 3/4″ heating coil is amazingly efficient due to its unique “breathing” design so it heats quieter while promoting optimum heat exchange. 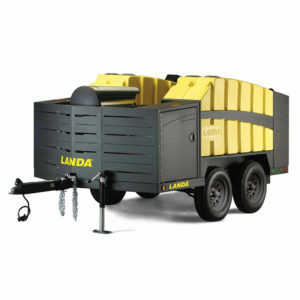 The SLX/SLT has a remarkably compact footprint, is certified to UL-1776 safety standards, is pre-plumbed for drawing water from an auxiliary tank, has six forklift guides for portability and the control panel is ideally positioned for curb access when the unit is mounted on a trailer or truck bed.